More than twenty years after the discovery Altamura Man, new research has managed to extract the oldest samples of Neanderthal DNA. 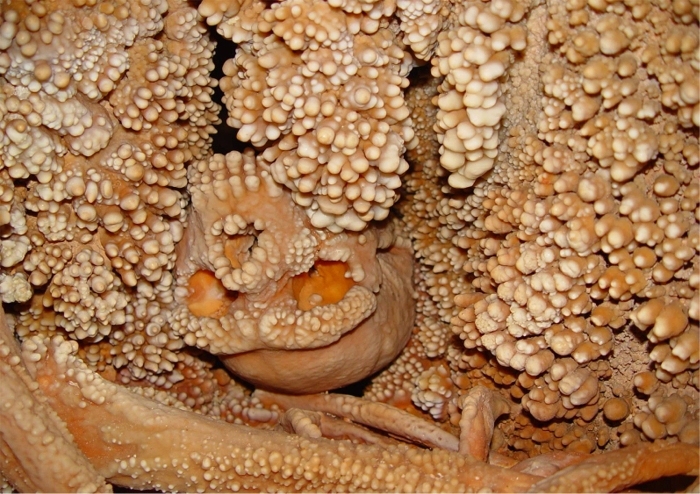 Found by cavers exploring Italy’s Lamalunga cave in 1993, Altamura Man is believed to have fallen into a natural well and died of starvation. Over the following centuries, the remains were cemented in place and preserved by calcite. In the study, published in the Journal of Human Evolution, researchers from the University of Rome and University of Florence used new techniques to extract a small fragment of shoulder blade from the fossil skeleton of Altamura Man which remains trapped in the cave. The team was then able to extract DNA from the bone, which confirmed the man of Altamura was definitely a Neanderthal, the species lived throughout Europe between 200,000 and about 40,000 years ago. Using uranium-thorium dating, they were also able to determine the age of the skeleton to be 150,000 years old, making the highly fragmented DNA, the oldest sample of Neanderthal genetic material ever extracted. A number of stalactites from the cave were also dated which show they started forming before 189,000 years ago, while the calcite formations entrapping the skeleton began between 172 and 130 thousand years ago, at the height of the next to the last glaciation.